The Lonely Planet Guidebook has an Internet forum called Thorntree, it can be helpful if you can ignore the regulars who hang or lurk there. I have used the Lonely Planet Thorntree a few times over the last 14 years of perpetual travel. Yesterday, I made another "New" post and already I have regrets, why do I even try? A person by the name of Kira, with 5000 plus post replied, and she appears to be working the forum to make money, or to help her self-esteem. Volume is not a proof of on-the-ground knowledge or experience! I remember getting on the Thorntree prior to entering Iraq, I can honestly say, all the advice given was of no value. They said the Silopi Border was closed, and it was opened, etc. There was nobody to be trusted, but they did raise questions, and I went and found the answers, but not on Thorntree. Good advice is full of specifics, real names, times, dates, etc. and beware of anyone who just says, trust me, I have experience, each trip is specific, and unique, you will never follow the exact path of another person. I have 14 years of travel experience, but is of zero value, when it comes to accessing the ability of a person to get a Visa in the Cote d'Ivoire embassy in Accra, Ghana. I need to talk in passive tone, not active. I am presently using Abriggs.com to get my Visa to Ghana, and I would like to use them again to get a Visa to Ivory Coast. 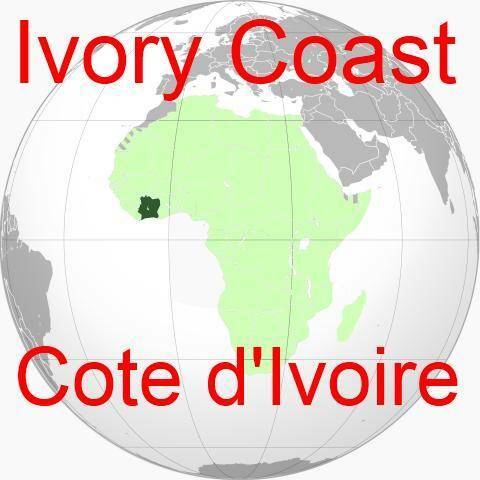 I will call them again today, to see what they think about getting an Ivory Coast Visa. The problem is always in-country time, I need to be in the USA long enough to apply for the Visa, and get it back. I have 9 days left. This company got me a Visa to Cote d'Ivoire a couple of years ago, they did a great job. But, they are again, occupied getting my Ghana Visa, and not sure if they have time. When you make a Visa application, you send your passport to the company, and I need this passport to leave the country. I assume that people writing on the Internet are lying. I have looked at many of the various sites on line for travel info along with magazines and being a seasoned traveler I am able to (usually) get what info I'm looking for and cancel out the ads, BS, ads concealed stupidly as reviews and so called expertise, etc. I don't consider any of them absolutely honest all the time due to abuse and also because even good all around experienced travelers post personal and dated info that doesn't do any good for me. When traveling by any means to anywhere things can change overnight. Even with the internet it's difficult for sites and people's answers, advice, etc to keep up with so many different items, i.e. schedules, gas, accommodations, tickets, prices, etc. I have learned traveling light and checking by phone (when possible) as late as possible is the best way to get newest info and even that can be wrong. I learned early on to travel light, with enough cash on hand and now Debit and Credit Cards as well and especially a LOT of patience and humor. It simplifies most any problem that sneaks up on me. I also try to not give advice or recommendations, I prefer to call my input when asked as suggestions. That has helped me to keep out of trouble. Also we need to realize that different age groups and cultures can make things different then what you may be searching for. I'm old (but in good health) so I prefer needed info from older, more experienced people generally but not always.